A possible customer is referred to you by a friend, family member or client. Or maybe just found you on a Google search? Before they contact you, this person does what everyone else does — they visit your website to learn more about who you are, what you do, how you do it, etc. But then, silence. They don’t call for an appointment. They don’t email you. Nothing. Apparently, your warm lead just turned cold. What happened? Easy … your website scared them away. Instead of giving them the confidence that you know what you’re doing and you can actually help them, your site did just the opposite. It created doubt, uncertainty and a general feeling of uneasiness about you and your company. So they quietly click the back button on their browser and decide to look elsewhere, a.k.a. a competitor. Probably to one of your competitors that offers inferior services to yours, but has a better website than you. Getting new clients is hard enough. Don’t make it even harder by having a less-than-stellar website that repels prospective clients. Rather than just give you my personal opinion, we scoured the internet and compiled current data on this topic from a variety of reputable sources. Have your website professionally designed. It shouldn’t look like it was built by a 6th grader. 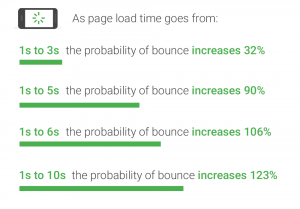 Poor website loading speed can be extremely harmful to businesses. Most consumers expect a web page to load in 2 seconds or less. 79% of shoppers reported that they would not return to purchase from a slow loading website. Websites must be mobile-friendly and optimized to adapt to various interfaces. According to comScore, the number of users accessing content online through their mobile devices has surpassed those who use a desktop. 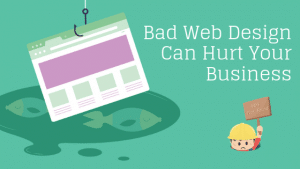 Website clutter is a huge deterrent. Ex: Too many Flash animations, and prompts, auto-play videos, background music, etc. Once again, site navigation is a factor that hurts conversion. Confused, frustrated prospects don’t buy. A missing or confusing call-to-action. You must let your visitor know what you want them to do next. Don’t assume they’ll know. Be direct and specific. Gently nudge them where you want them to go. Make sure to use credibility elements such as customer testimonials, BBB, and other well-known accreditations. Otherwise, your visitors have only your marketing propaganda to go by. Your site must be mobile-friendly. As mentioned above, more people today access the Internet from mobile devices than from desktop computers. Creating user-friendly website navigation is far more complex and nuanced than meets the eye. Good navigation is intuitive and simple, and makes it easy for visitors to quickly find what they need. Eliminate fluff and weak language. “We’re the best,” “we’re the cheapest,” “we’re the most innovative,” tells your reader nothing. Provide details about why your company is different or what they can expect when they do business with you. Stay away from cringe-worthy, cheesy stock photos that everyone uses. These make you look phony and amateurish. When possible, use your own custom images. It’s ok to use custom stock imagery if it’s professional and high-quality, but be prepared to dig a little bit to find the good stuff. As mentioned above, your site needs to be mobile-friendly. Mostly to provide a good user experience to your visitor, but also for search engine rankings. 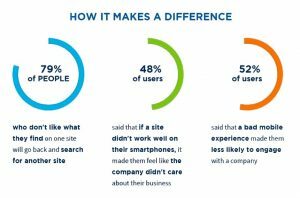 In April 2015, Google publicly stated that it’ll give preference in the search listings to web pages that are mobile-friendly vs. those that are not. 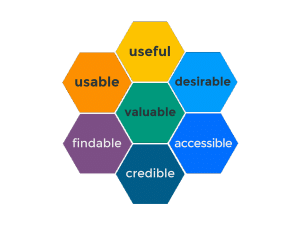 The 4 pieces of website info most likely to influence a consumer to use that business are: (1) Details about the business (e.g., company origins, products, services, people), (2) Business proximity, (3) Clear address and contact details and (4) Customer testimonials. The 4 biggest negatives for a local website are (1) Poor quality content, (2) No phone number displayed, (3) No prices displayed and (4) The business not being local enough. Most consumers of all ages prefer to contact local businesses by phone after viewing their website. 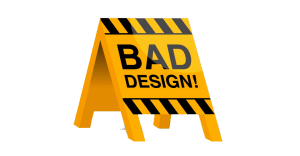 Key Things That Make A Bad Website? Your website is not mobile optimized or responsive (yes they are different, don’t get them confused). A mobile optimized site is a far more advanced website. Mobile optimized means that the site will reformat itself for a list of handheld or tablet devices. Larger navigation buttons reformatted content, and differently optimized images appear when the user is on an iPhone or other devices. A responsive website automatically changes to fit the device you’re reading it on. Typically there have been four general screen sizes that responsive design has been aimed at: the widescreen desktop monitor, the smaller desktop (or laptop), the tablet and the mobile phone. Your website hides things such as buttons and text, especially on mobile view. Your parents probably drilled this into your head as a kid, and it’s a good lesson to learn if you want a lead-churning website. While mobile menus are great on mobile devices, they’re less so on a desktop. Users need text links to help navigate and understand the options they have. By hiding them you’re losing opportunities to get your user further down your experience funnel. Your website has buttons that don’t link to anything or aren’t big enough to click. With mobile traffic on the rise at over 60 percent, these links and buttons need to have enough space and size where they are easy to tap and navigate to the desired action or page. Your website does not have H1 or H2 tags. Another reason you need headings and subheadings? So search engines can find you. There are more than 6,586,013,574 searches a day worldwide. One of the factors for ranking higher in search engines is by having helpful markup for bots to read and decipher what a page is about. If a bot can’t determine what your page is about, it will be hidden somewhere in the no-mans-land of the double-digit search result pages. 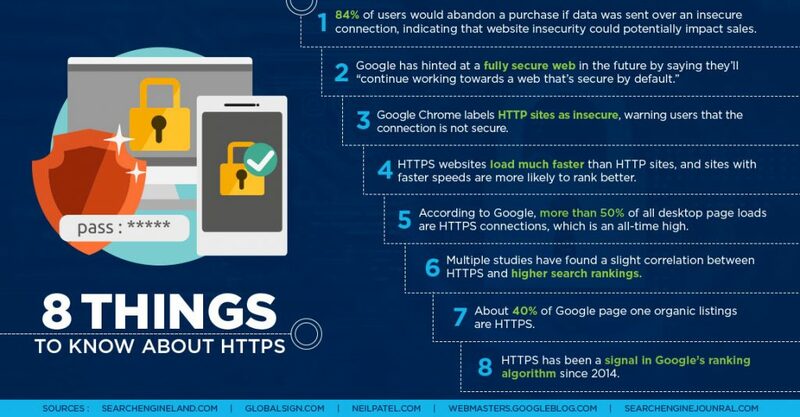 Your website is not secure (do you see the https to the left of your domain? Love the content? Maybe need some help with your marketing? Give us a call at (918)609-3248 or submit a form on our contact page! ← How Do I Add an Instagram Action Button to My Business Profile?